Internationella utmärkelser | Väldoft & välmående i vardagen. Må bäst! 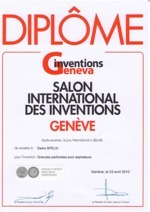 The 32nd International Invention Salon in Geneva was held from 31 March to 4 April 2004. Representatives of some fifty countries from all continents participated in the exhibition, featuring more than 1000 innovations. The car perfume “Shake” won the GOLDEN MEDAL. IENA 2004, the exhibition of new ideas, inventions and new technologies and products was held in Nuremberg, Germany. At this 60th Fair of Innovations and New Technologies, the perfume “Shake” won the BRONZE MEDAL. The international consulting meeting “Packaging Marking” was held from 21 to 23 April 2004 at the Plitvice Lakes National Park, organized by the Packaging and Graphic Industry Institute, the Packaging and Graphic Industry magazine and the company Tectus d.o.o. Competing against 190 nominated products, the car perfume “Shake” was the winner of the CROPAK PRIZE, confirming its nomination for the CroPak award for best packaging and label from the perspective of graphic design and marking in the category of Croatian product series in 2004, and for meeting the high criteria in accordance with the Award Regulations. 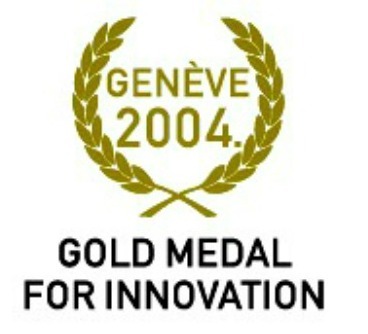 At the 53rd World Exhibition of Inventions, New Products and Technologies Eureka 2004 held in Brussels, Belgium, with participation of inventors from 33 countries, the “Shake” perfume won the BRONZE MEDAL. 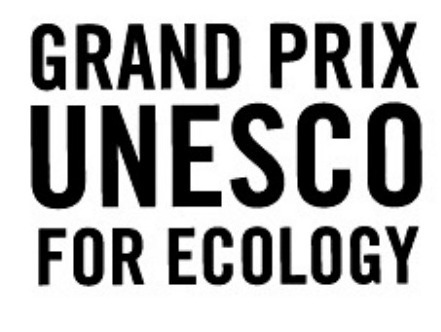 At the EUREKA 2004 exhibition, the vice-president of the international jury, Gilbert Deliege, who is an expert consultant for UNESCO and ACCT, awarded the special prize (grand prix) for the improvement of the quality of life and ecological thinking. At the 9th Exhibition of Innovations in Maritime Industry and Nautical Tourism in Rijeka, the jury has awarded the SILVER DIPLOMA and PLAQUE to indoor freshener “Shake”. At the 6th Exhibition of Automotive Innovations held in Rijeka as a part of the AUTO 2004 International Fair, the product “Shake” was awarded the GODLEN DIPLOMA for exceptional contribution to innovations in automotive industry. The ARCA 2004 exhibition – the First International Exhibition of Inventions, New Ideas, Products and Technologies, was held within the International Autumn Zagreb Fair from 14 to 19 September 2004. The product “Shake” won the BRONZE DIPLOMA. The International Jury’s plaque for the best innovator in 2004. At the 7th exhibition of automotive innovations held in Rijeka as a part of the 15th International Fair of Cars, Motorcycles and Equipment, the product “Shake” won the BRONZE DIPLOMA. 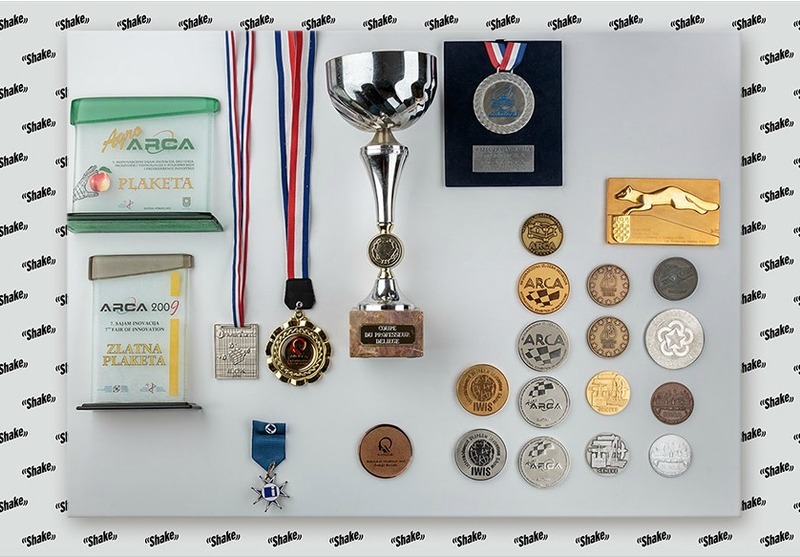 At the 4th International Exhibition of Innovations, New Ideas, Products and Technologies, held within the Zagreb Fair in September 2006, the product “Shake” won the SILVER ARCA. At the 10th International Exhibition of Innovations and New Technologies held in Romania in October 2006, the product “Shake” won the BRONZE MEDAL. At the 5th International Exhibition of Innovations, Products and Technologies, held within the Zagreb Fair in September 2007, the product “Shake” won the GOLDEN ARCA. At the 6th International Exhibition of Innovations held in China in October 2008, the product “Shake” won the SILVER MEDAL. At the 19th International Exhibition of Inventions, Innovations and Technologies held in Malaysia in May 2008, the car perfume “Shake” won the BRONZE MEDAL. At the Iwis 2008 International Exhibition of Innovations held in Warsaw in June 2008, the perfume “Shake” won the GOLDEN MEDAL. At the Iwis 2009 International Exhibition of Innovations, the “Shake” perfume granules for vacuum cleaners won the SILVER MEDAL. IENA 2009, the Exhibition of New Ideas, Inventions, New Technologies and Products, was held in Nuremberg, Germany. At this fair, the product “Shake” won the SILVER MEDAL. At the 7th International Exhibition of Innovations, New Ideas, Products and Technologies, held within the Zagreb Fair in September 2009, the “Shake” perfume granules for vacuum cleaners won the GOLDEN ARCA. At the Eureka World Exhibition of Inventions, New Products and Technologies held in Brussels, Belgium, the “Shake” perfume granules for vacuum cleaners won the BRONZE MEDAL. At the 3rd International Fair of Innovations, Ecological Ideas, Products and Technologies in Agriculture and Food Industry, held in Slatina in May 2010, the “Shake” perfume granules for vacuum cleaners won the AGRO ARCA PLAQUE and the SILVER MEDAL. 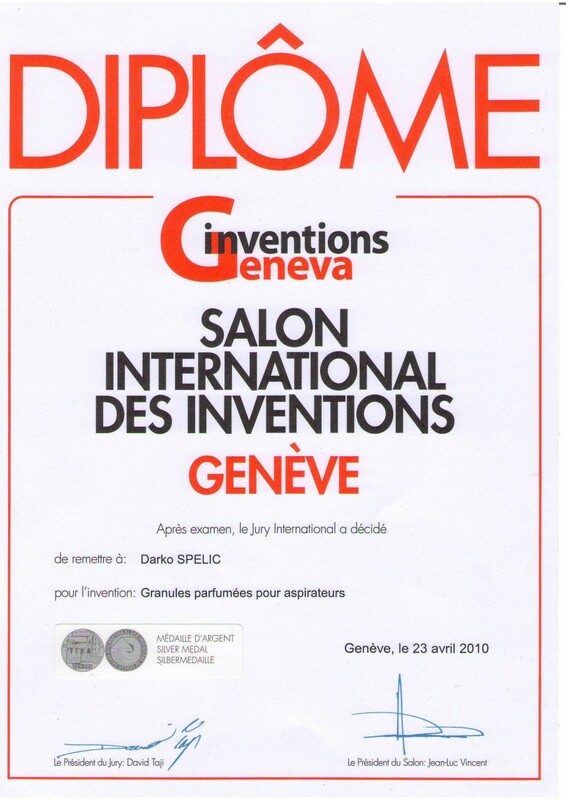 At the International Invention Fair in Geneva held in April 2010, the “Shake” perfume granules for vacuum cleaners won the SILVER MEDAL. At the 4th International Innovation and Economy Fair held in Ilok in 2010, the “Shake” perfume granules for vacuum cleaners won the SILVER MEDAL. In 2008, Darko Špelić, the owner of the company Prestige d.o.o. and the innovations under the brand name “Shake” was awarded the Certificate appointing him as the Knight of the International Order of Merit of Inventors by the International Federation of Inventors’ Associations (IFIA). By the resolution of the Project Council of the Croatian Chamber of Commerce, it was confirmed that the “Shake” car and indoor freshener product line meets high quality standards and is therefore considered an original Croatian product, thereby acquiring the right to mark the product as CROATIAN CREATION. Patent certificate for the invention Bottle – perfume diffusor in a container with string. Consensual patent certificate for the invention Perfume granules for vacuum cleaners.